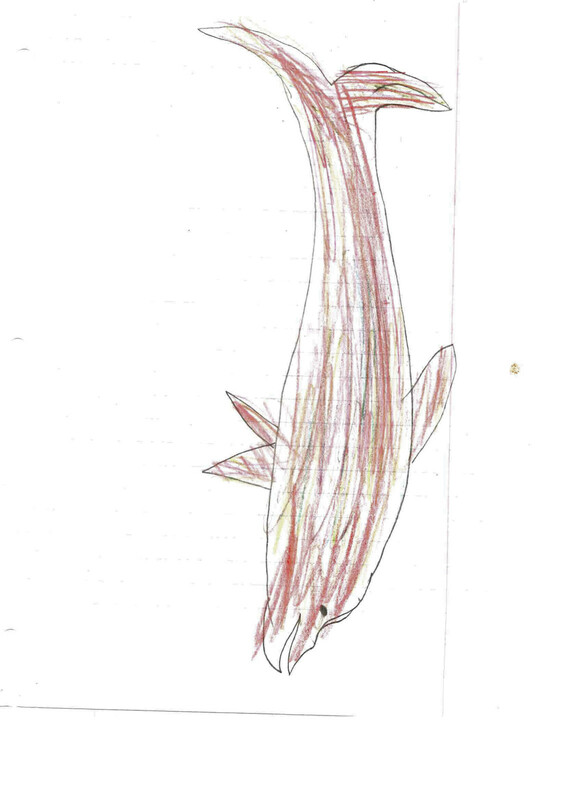 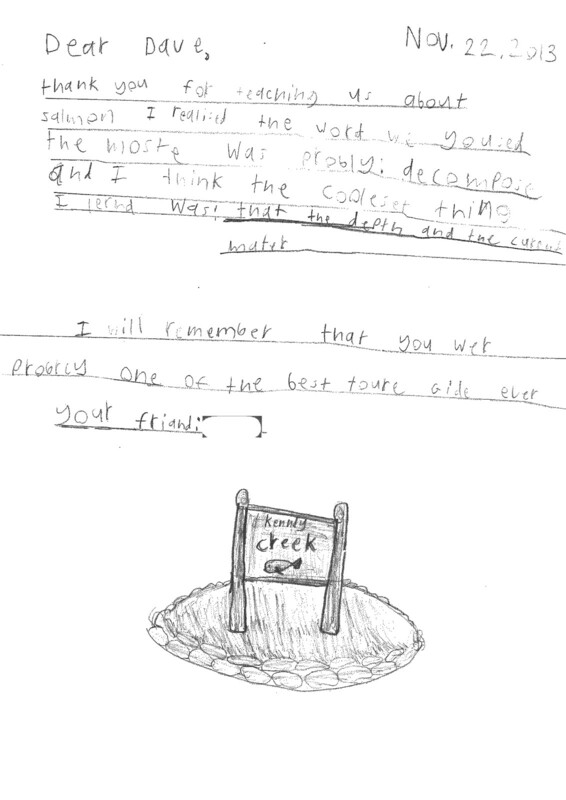 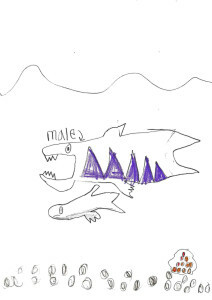 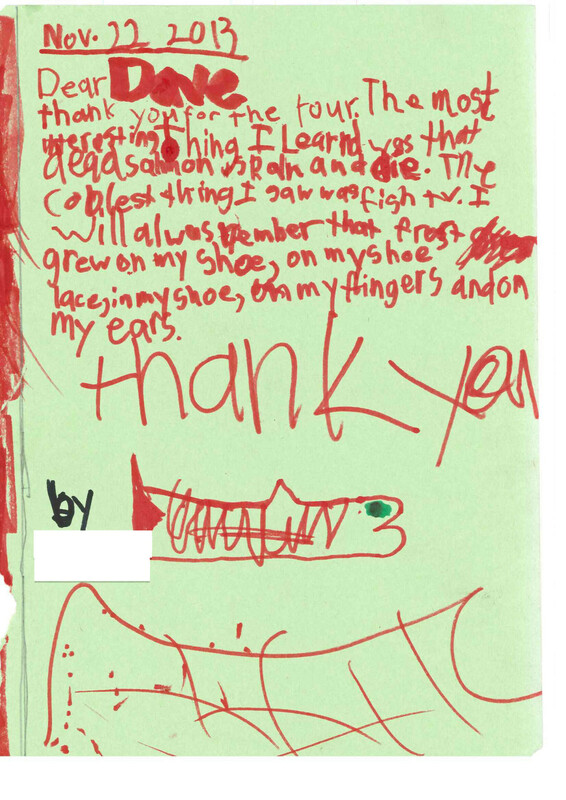 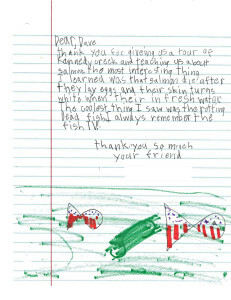 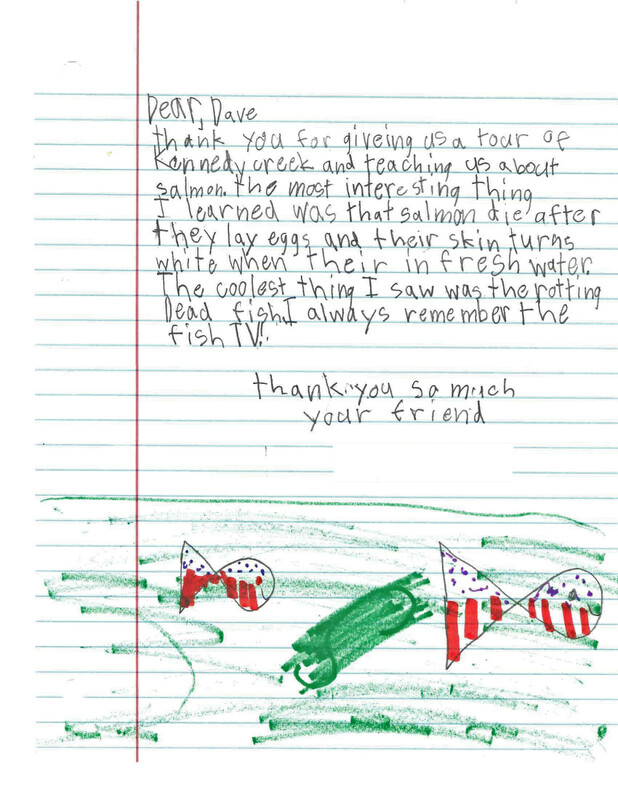 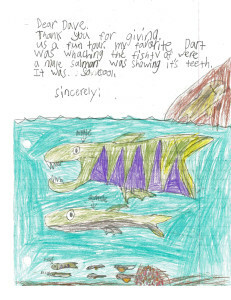 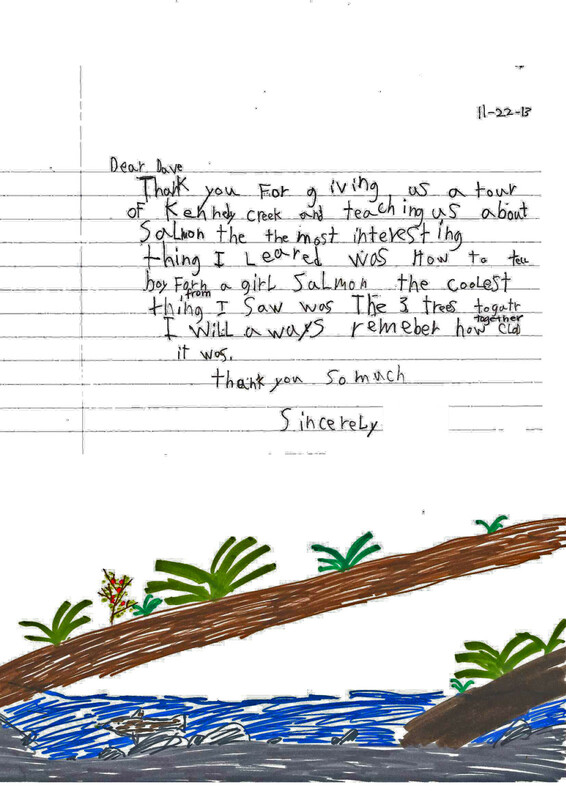 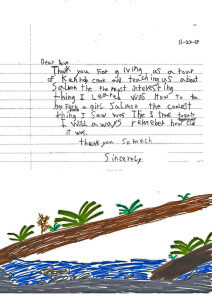 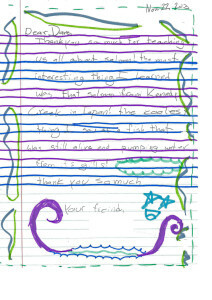 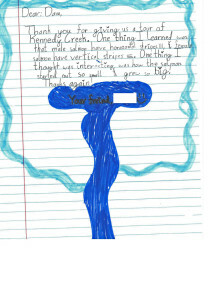 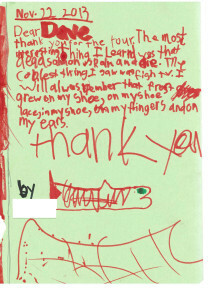 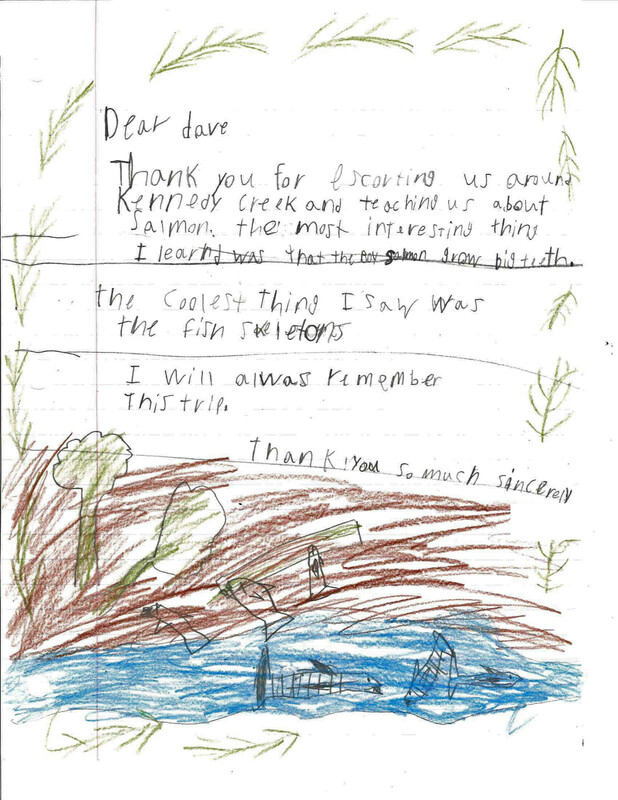 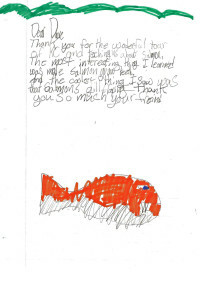 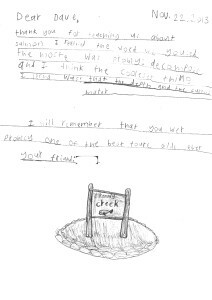 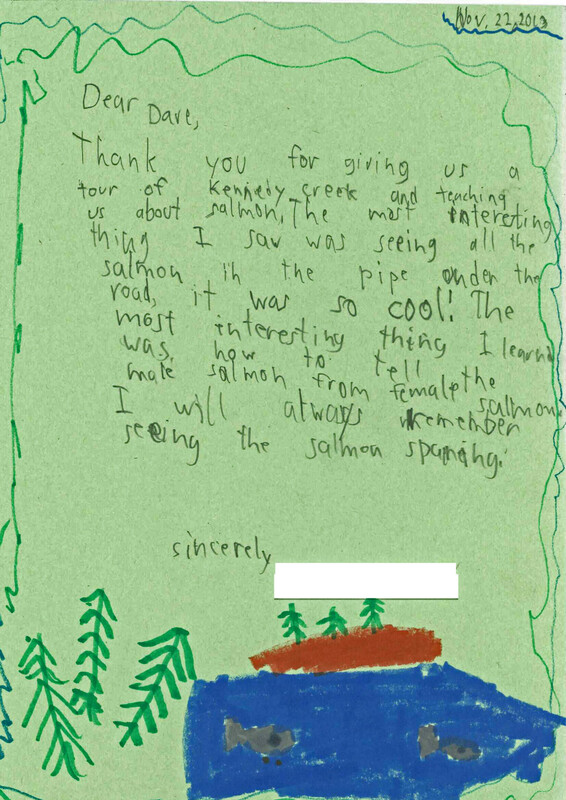 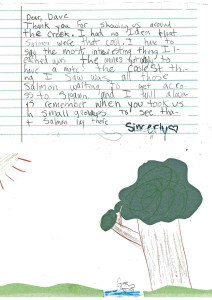 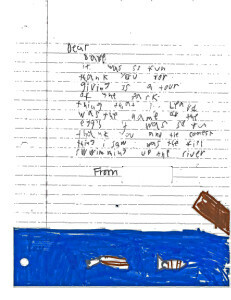 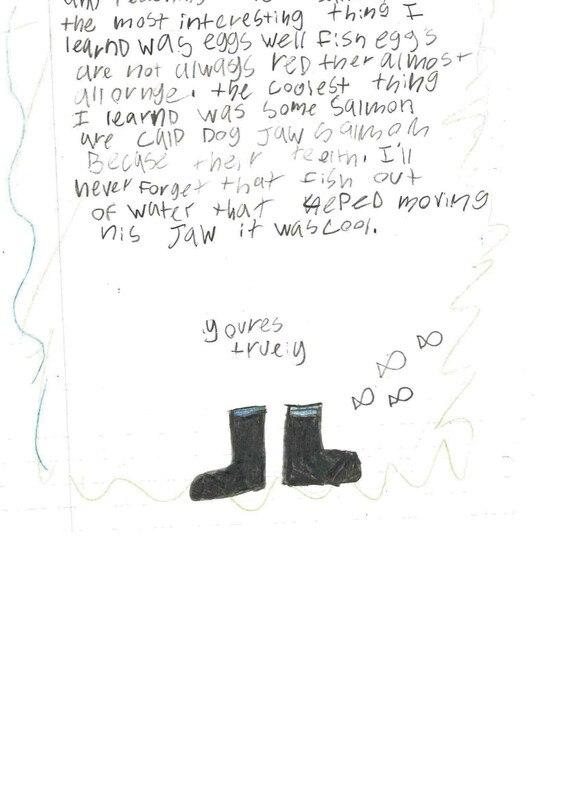 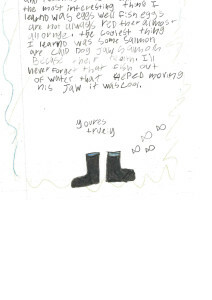 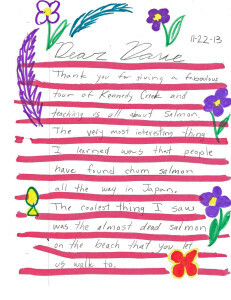 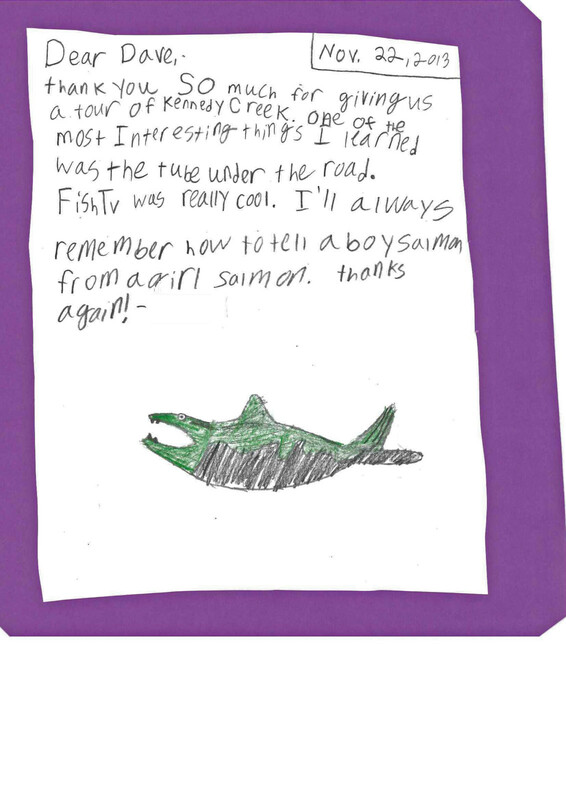 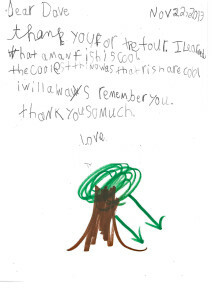 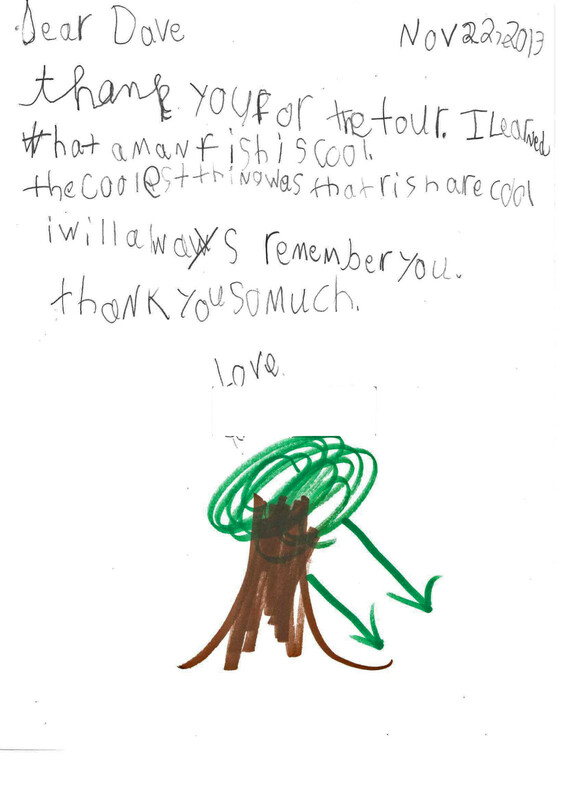 Docent Dave received these thank you Letters from Cara MacMillan’s 3rd/4th grade class at Lincoln Elementary! 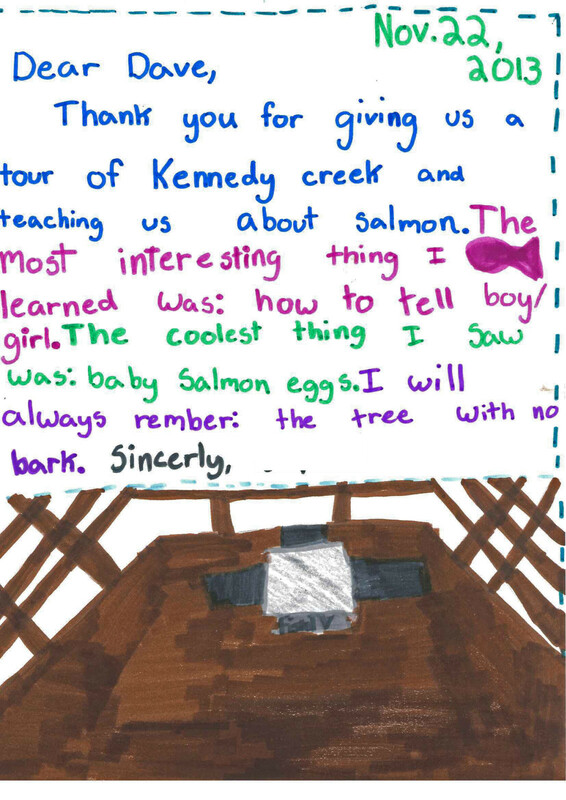 They were so cute and thoughtful we just had to share! 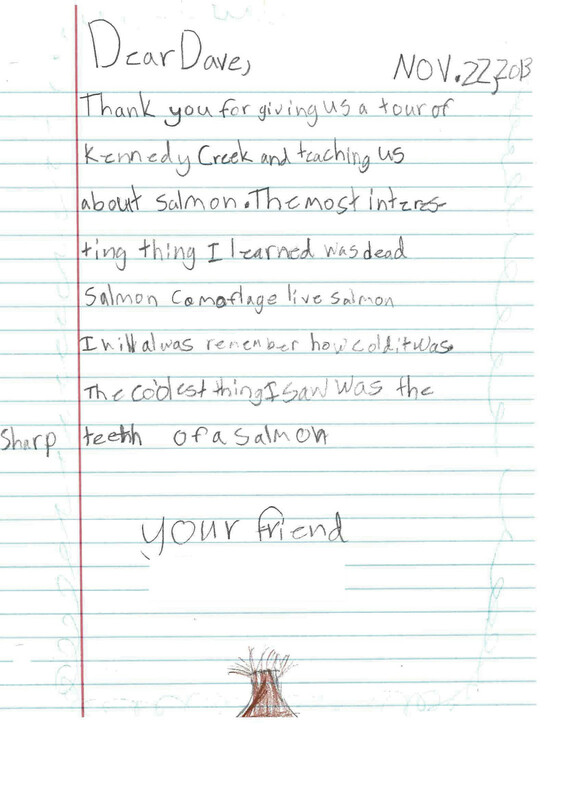 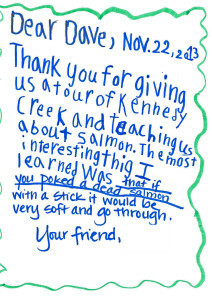 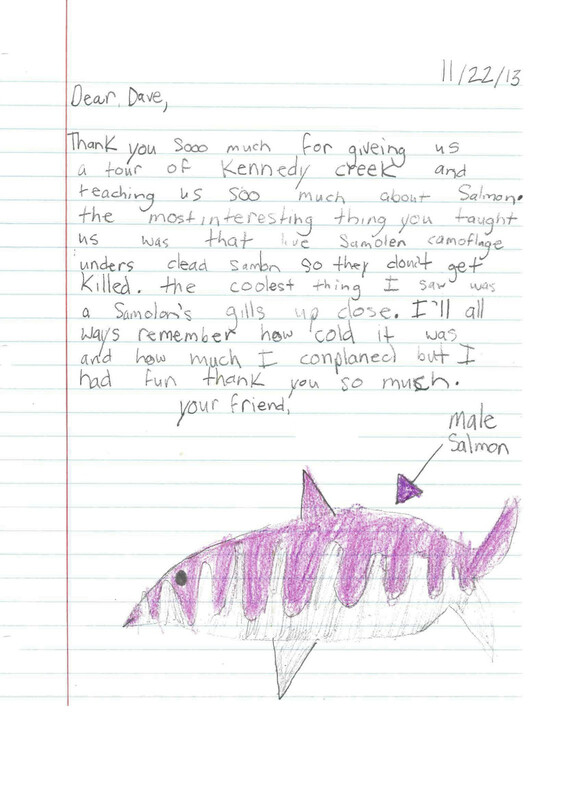 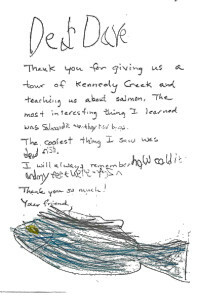 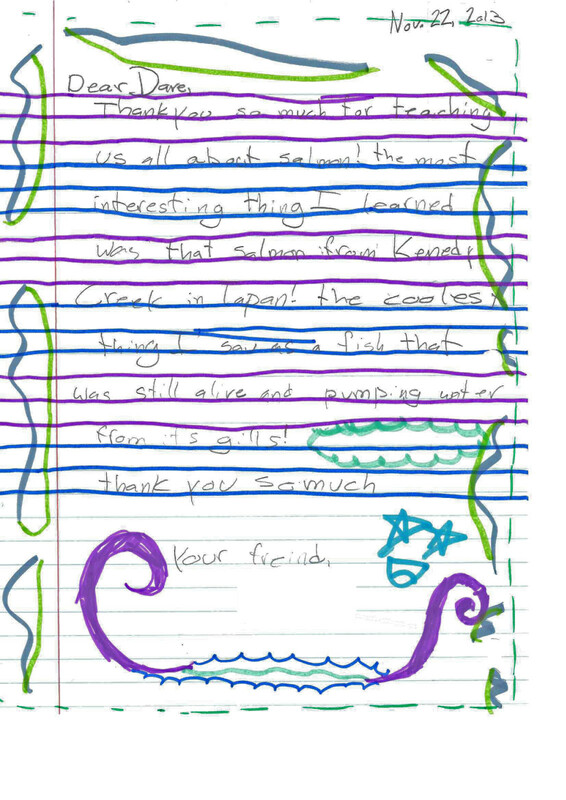 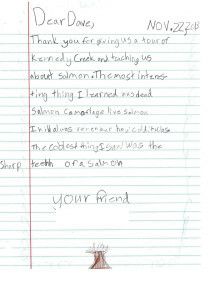 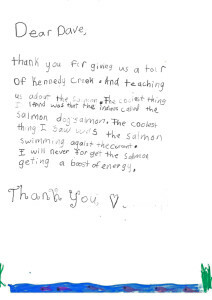 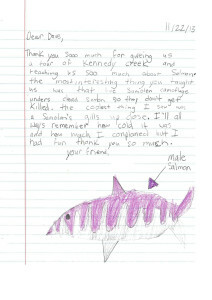 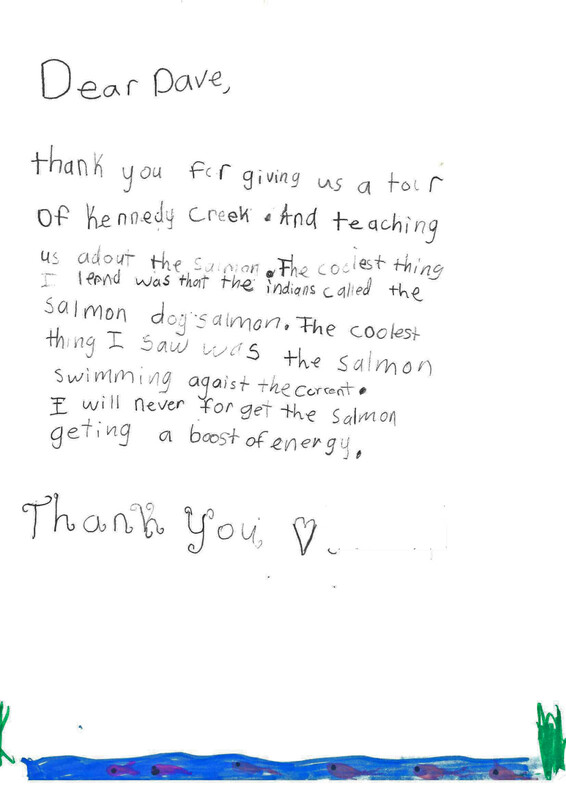 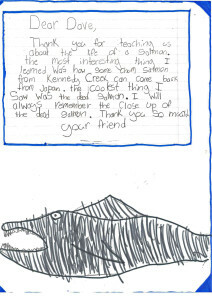 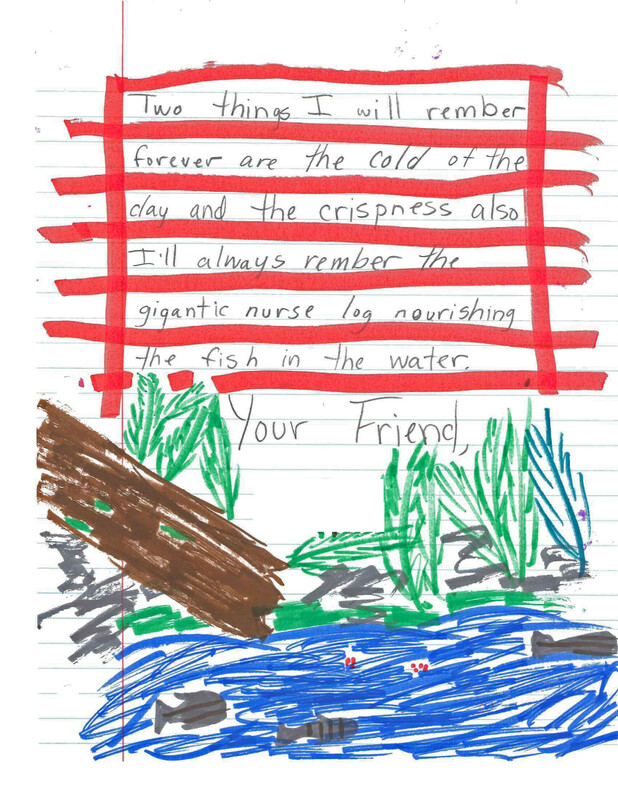 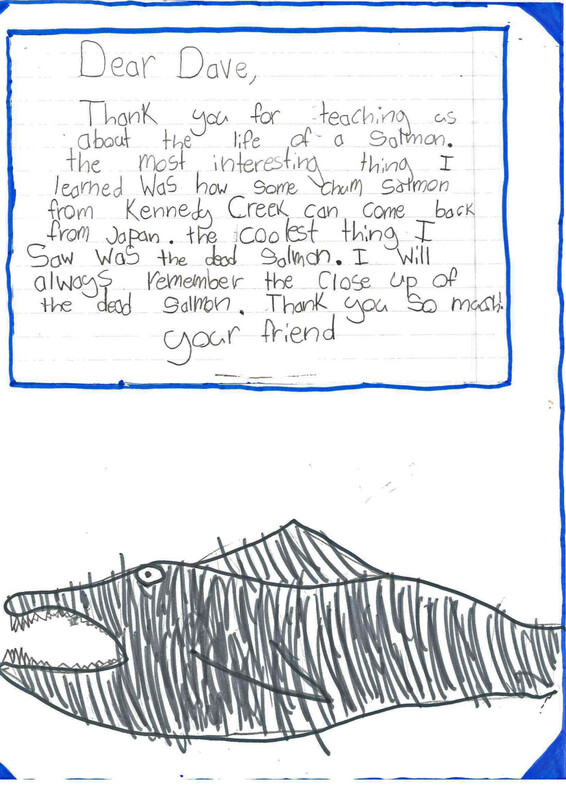 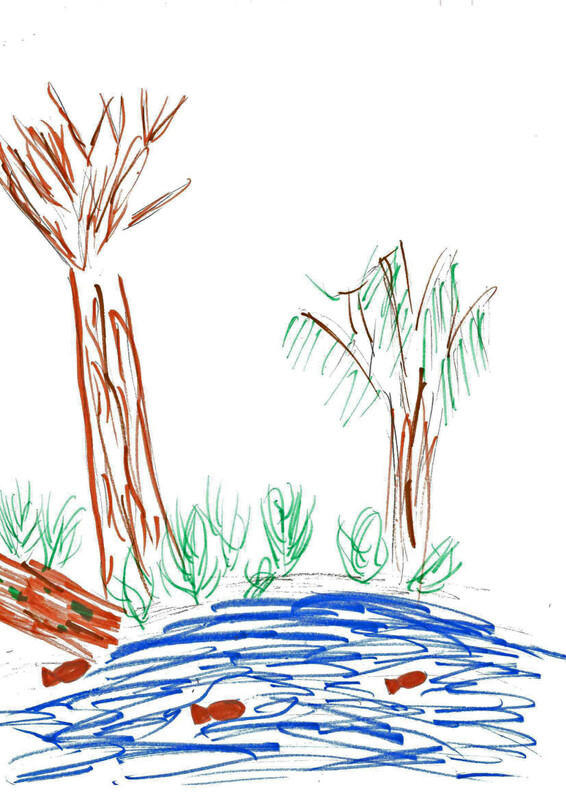 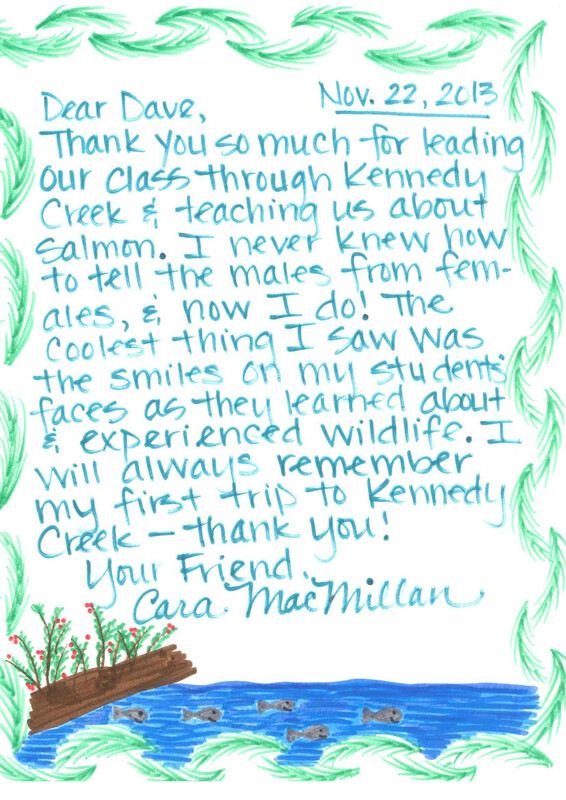 Thank you Lincoln Elementary for your wonderful words and pictures about Kennedy Creek. 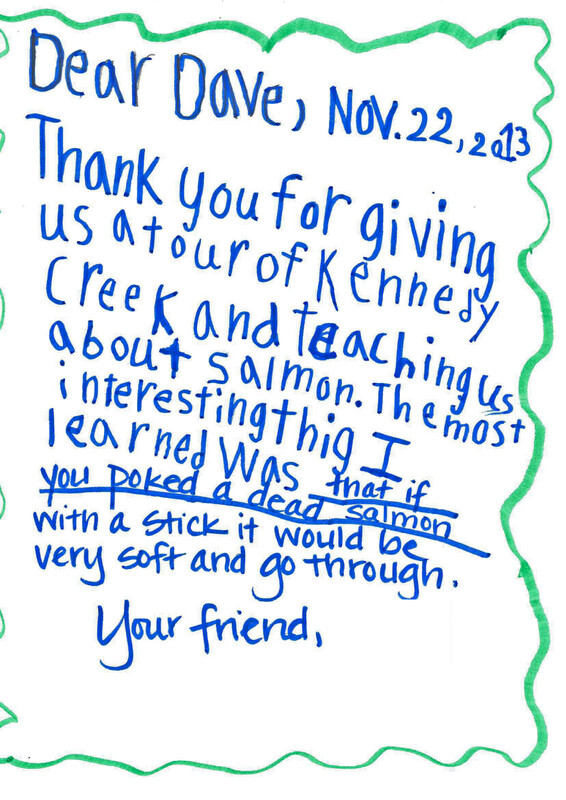 We are glad you had a great time! 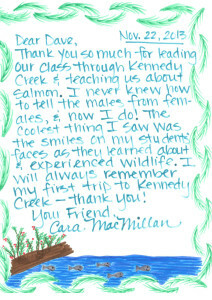 Thank you for our journey in to nature life and in to a very cold place. 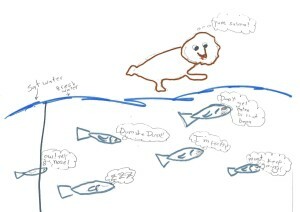 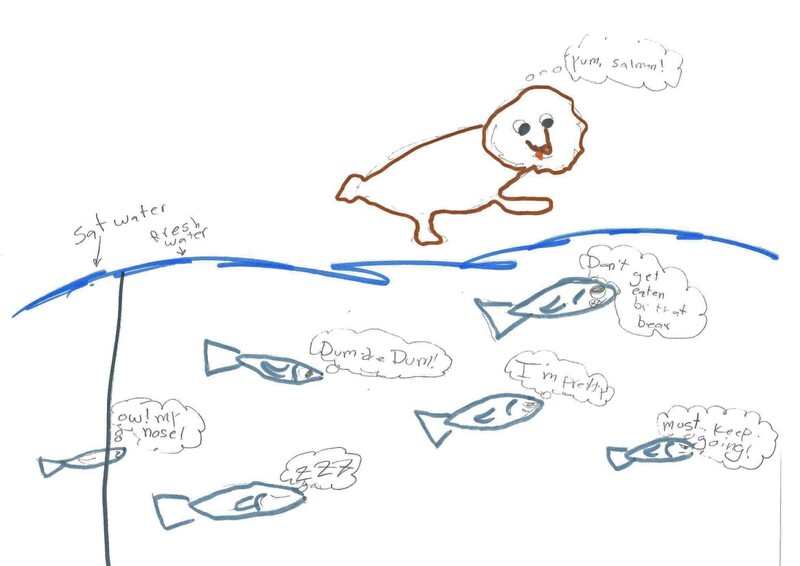 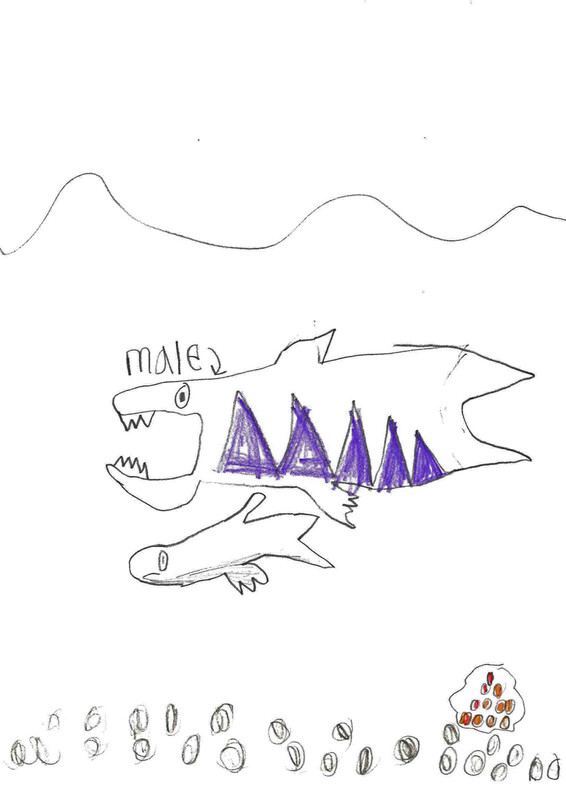 The most interesting thing I learned was that when fish fie their body’s decompose in to the water. 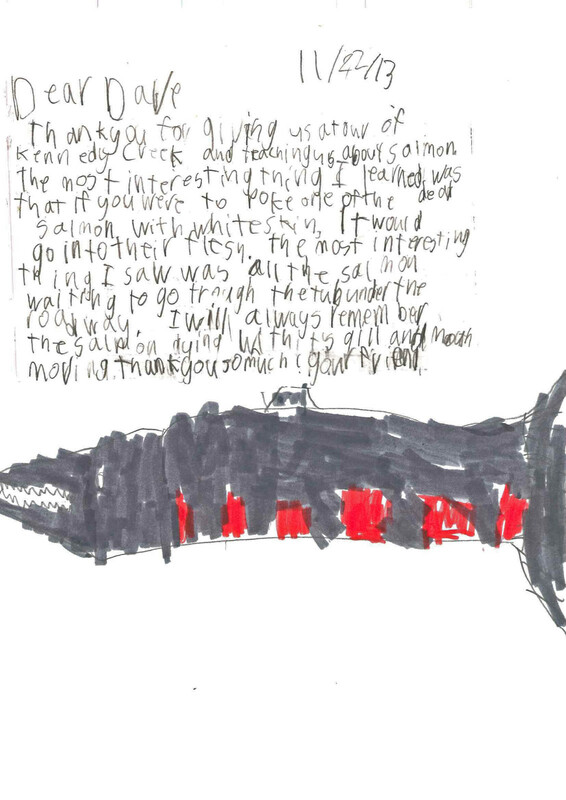 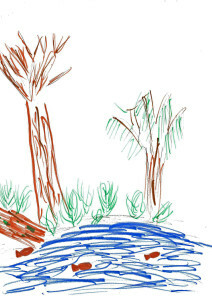 I have to say our journey was very pretty and I think seeing the life that we have compared to the fishes is very different. 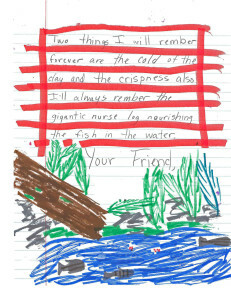 I will always remember the fishes life and how they struggle to make another life and how lucky I am to see that.